Our first Spring Gun Raffle is now in progress !! After the success of our last several gun raffles, and from the input from our community, we have decided to have a Spring Gun Raffle that will coincide with our Spring Ham Shoot. This ticket will not be as large as our fall ticket, but has some excellent prizes (valued at $2500.00). The spring ticket includes a Mossberg 535 12 gauge Turkey Gun with a Red Dot sight, a Glock 43 9mm handgun, a Smith and Wesson M&P AR15 5.56, a Savage 93R .17 HMR with a 3X9 Bushnell scope, and, new to our ticket, a chartered fishing trip out of Rock Hall MD aboard the Intimidator. And, like always, the tickets are only $5.00 each. 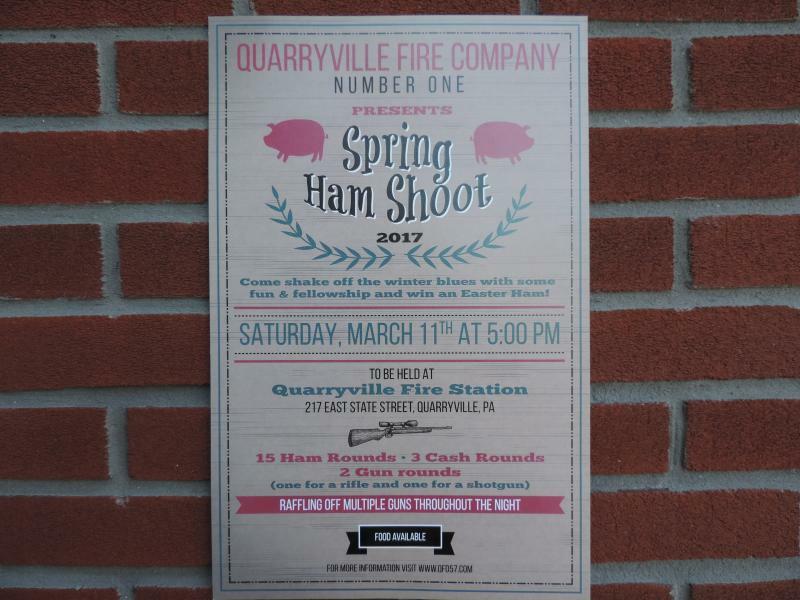 We will be selling tickets from now until Saturday March 11th, which is the night of our annual Spring Ham Shoot. We will pull all of the winning tickets at the shoot, where we will be giving away several more guns (more info on that later). 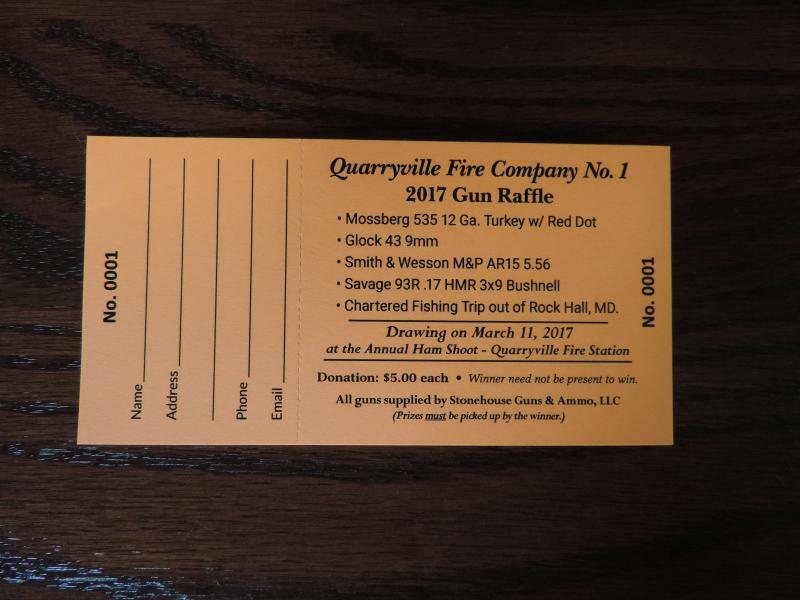 See a Quarryville Fire Company member to get your tickets. Help us to make this another great fund raiser to help us offset some of our new building expenses.